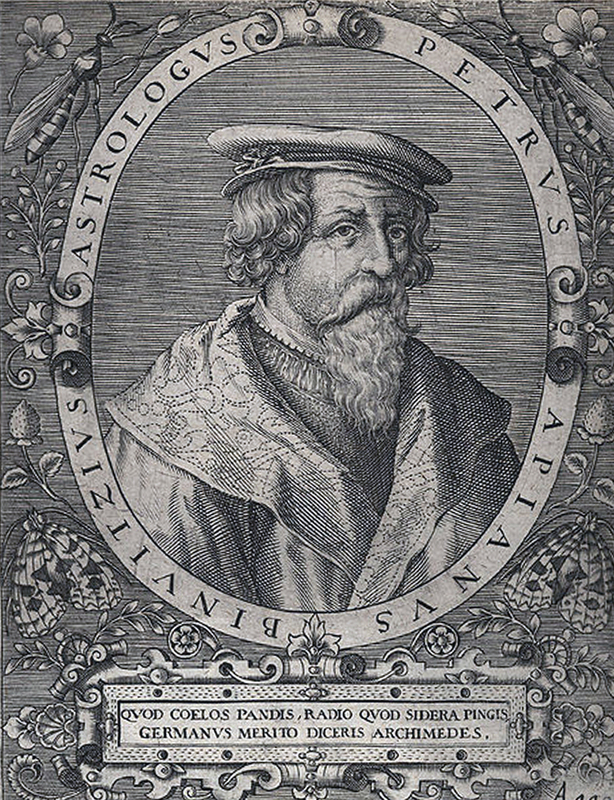 Apianus, Petrus (Liesnig, 16th April 1495 – Ingolstadt, 21st April 1552) German scientist, astronomer, geographer, mathematician. He was a royal mathematician, with versatile activities as a scientist and a publisher. His activities were rewarded by Carl V with knighthood. Student of the University of Leipzig and the University of Vienna, and from 1527, professor of the University of Ingolstadt. Typographer, most likely to have been the inventor and first user of stereotype.